A. This body of paintings are visual arrangements loosely based on genetic coding charts, the groupings of dominant & recessive traits. 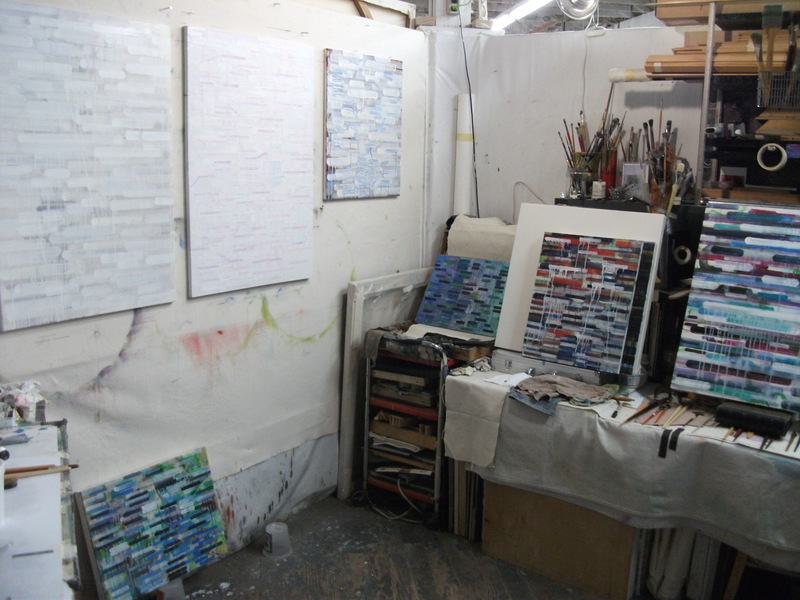 These visual systems are used as a beginning for the oil paintings, then they lead me to contemplation and adjustment. Certain marks have stronger energy, order or usefulness to them, thus they survive. specific DNA code make-up, they do refer or represent a particular grouping of memory traits. The groupings can be seen as ways to use selective memory to filter through everyday experience. Sometimes making a painting seems very full of consternation. Ideas go against each other, leading the maker to have to double back and reassess. Formulating, viewing, doubting, accessing, building, fragmenting, moving, processing…..arranging, analysis, assessing, modifying. System maps, templates, code breaking, data mapping sets, modulating, program units, viruses, mutation. Trying to harness the unseen, not yet thought of, or yet to be resolved is challenging. These paintings show a systematic way to visualize the never static, always changing and mightily challenging goal of making sense of all of this. A. Stick to your guns, try to not dwell too much on the final precious product until your studio practice has yielded enough hours that your studio process has become like a second nature. Your main role as an artist is to make paintings, the judging of what is good or not, and what should leave your studio door, because after it becomes public domain….it will be others who deem, what, why, when and if its good or not. You only control meaning and formal qualities of your work. JEFF PAUL RILEY received his BA in Fine Arts in 1995 from UCSB. 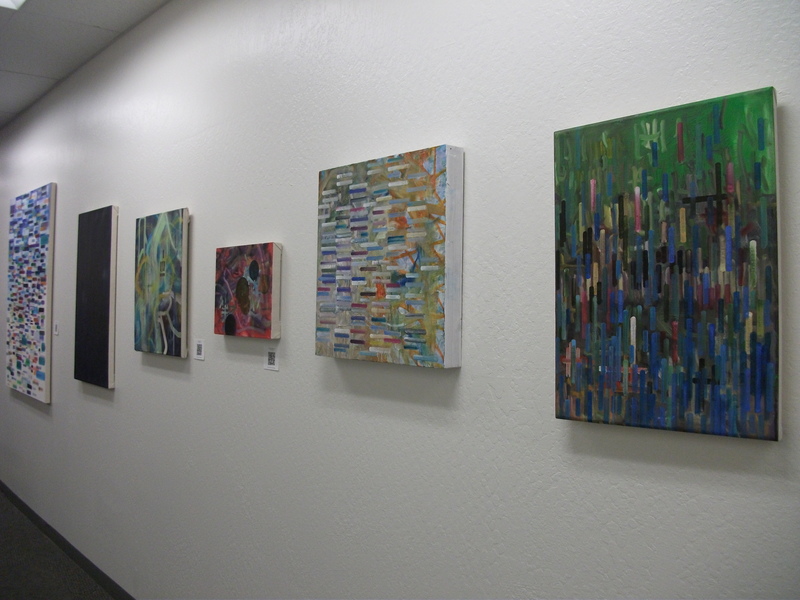 Jeff has been working on various bodies of paintings since he moved to San Francisco in 1999. 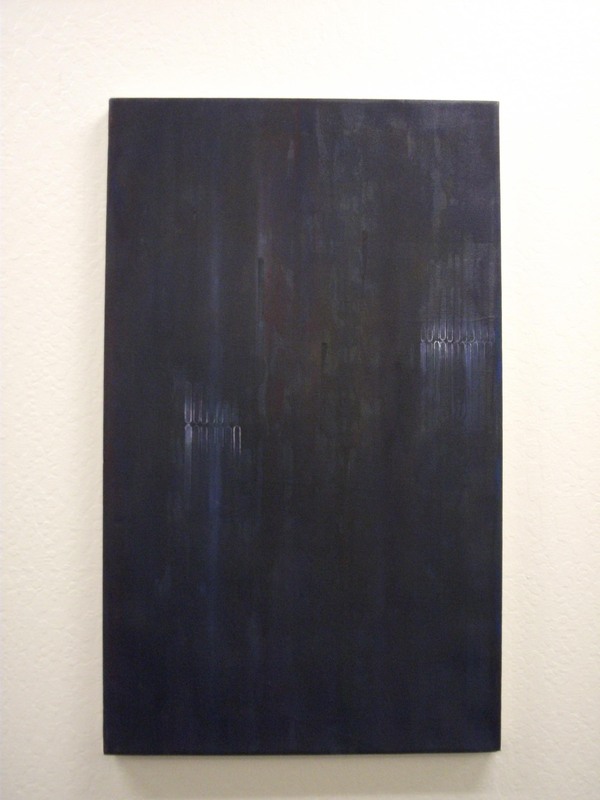 His paintings use botanical (natural) and computer graphics / design elements (cyber) references as a starting point for his abstract oil paintings. 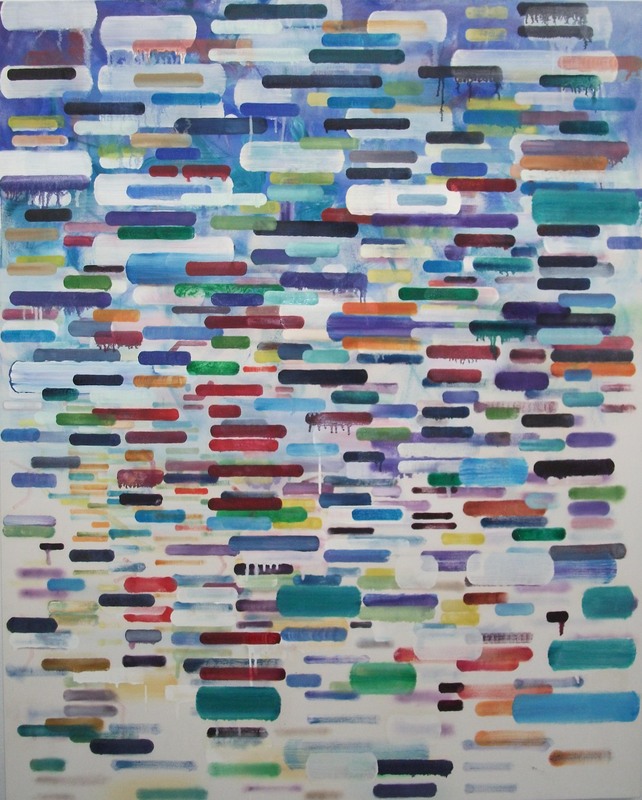 He is influenced by nature and other artists who use systems of ordering and arranging ideas and thoughts, such as Joan Snyder, Judy Pfaff, and Albert Oehlen. Jeff likes art that seems to be part puzzle and sort of an absurdist answer at the same time. 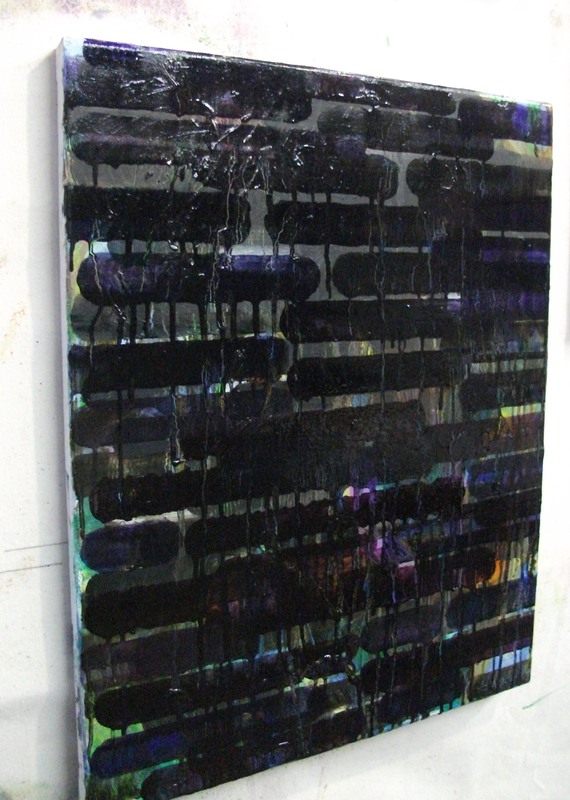 He likes to play w/ scale and shifting systems of painting processes.